Everlast Floor is a monolithic, resin-rich, troweled-on system that forms a physical bond between the existing material and the surface it is being applied to and vulcanizes them together. The compound made is so tightly bonded together that corrosive materials cannot penetrate to begin the deterioration process. Everlast Floor is not adhered to the floor, rather it is the adhesive. 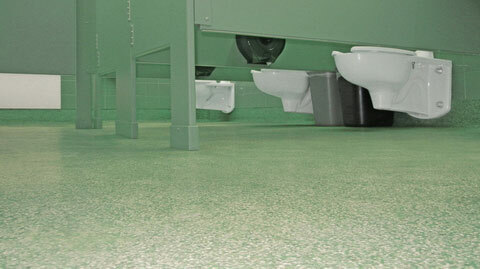 Under stress conditions, the concrete will break instead of your epoxy floor’s bond. Unlike other flooring, your new Everlast Floor is seamless, for a continuous surface of beautiful, waterproof, antimicrobial floor. Because it’s strong, yet flexible, it can take heavy foot traffic without cracking or wearing a pattern. Its durability ensures you’ll enjoy its beauty for years to come! Everlast Floor is not only seamless itself, but it also bonds to all the drains, electrical conduits, coke conduits, gas lines, plumbing lines, and anything else protruding out of the floor. This keeps the water contained and creates a bath effect. 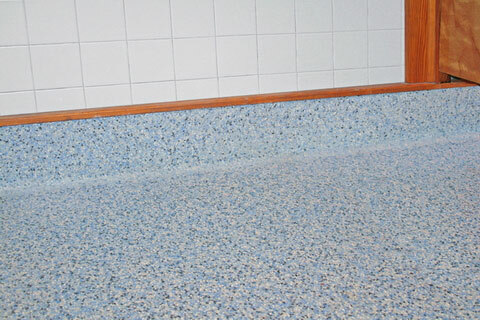 This bonding ensures that the flooring is contiguous! There won’t be any gaps, seams, or breaches that provide a “break”. 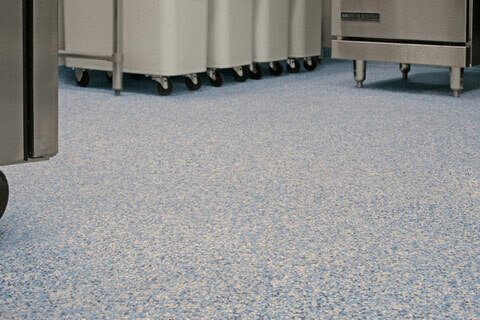 Your new flooring will be seamless, continuous, and unbroken throughout your facility! 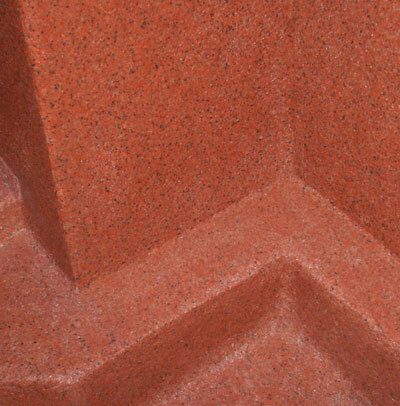 Because it is pourable and trowelable, it provides an un-segmented, smooth surface that is uniform, solid and sanitary. Everlast Floor can be applied up onto the walls to any desired measurement to create a cove base of any height! In situations where daily water saturation is a given, it can be troweled up the wall as high as is needed to contain runoff. This encompassing protection ensures water will only drain down the designated drains! It will NOT flow anywhere it is not directed. And our product contains an EPA registered antimicrobial formula throughout our epoxy system that impedes the growth of microorganisms. This provides long term protection from a broad spectrum of bacteria, fungi, yeast, actinomycetes, and mildew. Some floors are too large to be installed in one day. This is why Everlast Floor is formulated with an epoxy chemistry that will weld to itself! Even though there may appear to be a seam after installation, it is only visual. This is why Everlast Floor is the #1 choice if your floor would otherwise require a seam.